Sweet, spicy, savory, cheesy, nutty, crunchy, creamy, gooey, sizzling, or fresh: Whatever you’re looking for in a summer snack, chances are you also want to munch on something that won’t break the calorie bank. We’ve got you covered for every mood and situation with this comprehensive list of 20 summer snacks under 150 calories each. If you want to get a little fancier than hummus and veggies, but you still want an easy, filling snack, try whipping up this recipe. 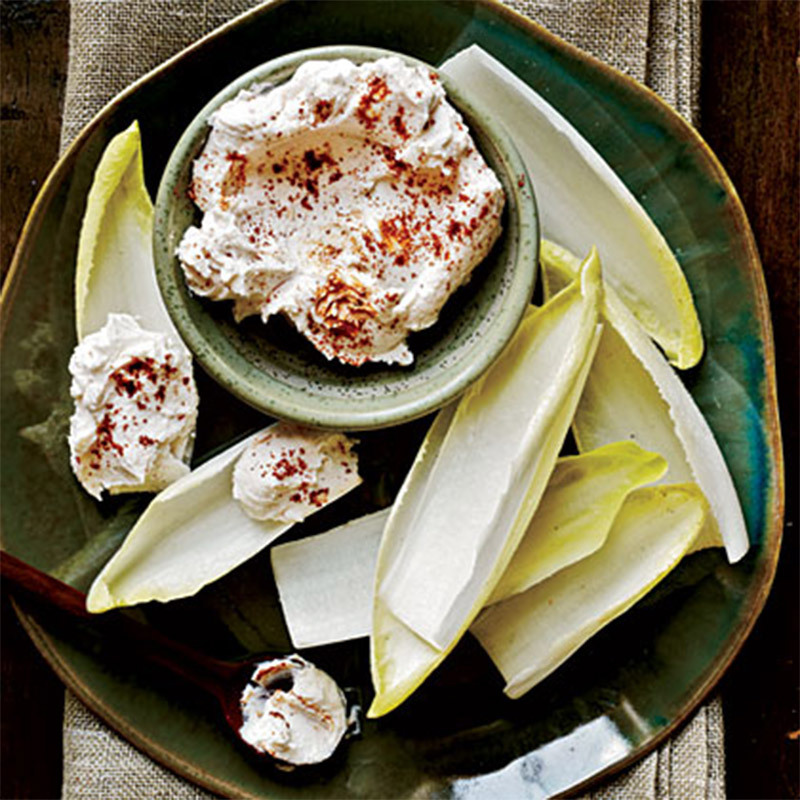 The cheese mixture is creamy and the endive spears are crunchy, which makes it a win-win when you’re in the mood for the both. 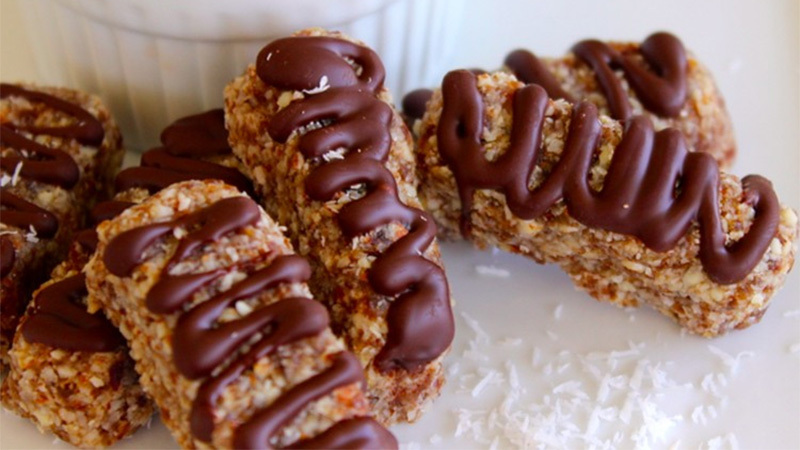 There are just 105 calories per serving in these delicious treats. If you have a sweet tooth but you’re watching your caloric intake, this treat is for you. 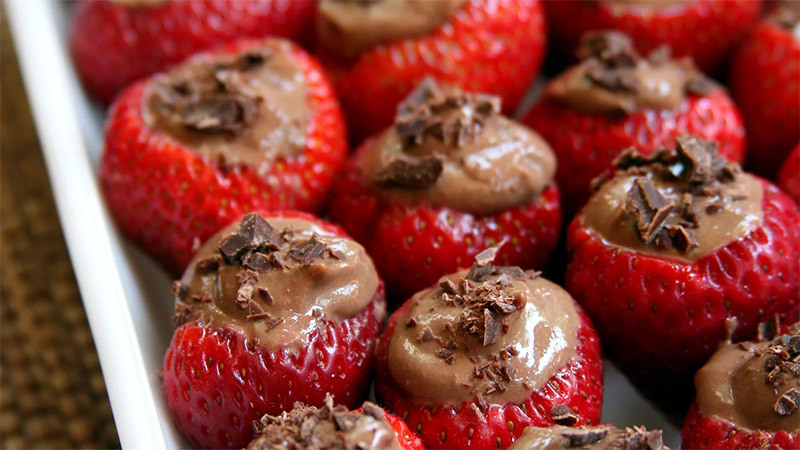 The classic combination of strawberries and chocolate gets a new twist in this vegan mousse recipe. You’d never believe it to taste it, but the filling is made with tofu and chickpeas. 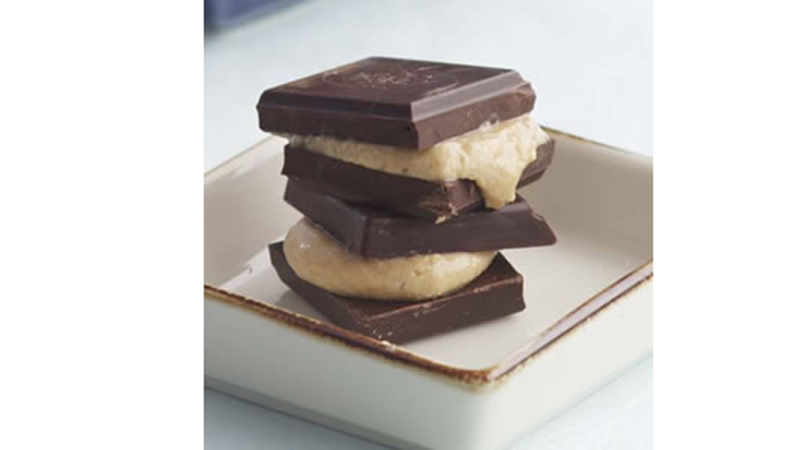 At only 87 calories per serving, this is one yummy treat you won’t want to put down. 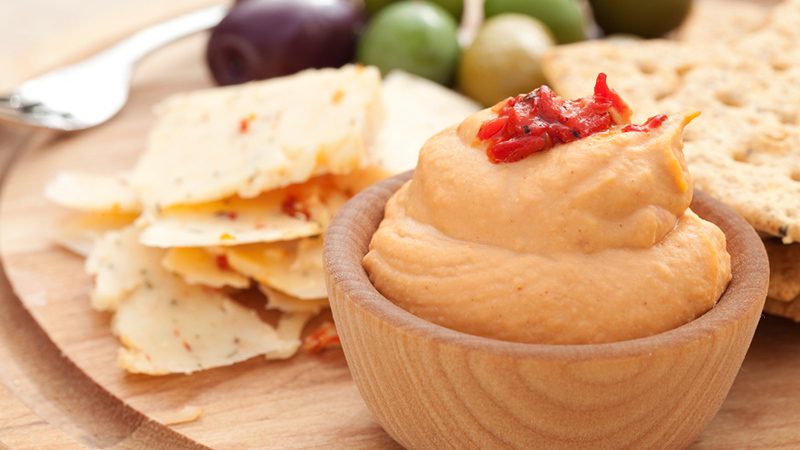 You only need four ingredients: hummus, whole-wheat crackers, diced red pepper, and a shake of oregano for this 150-calorie snack. A perfect blend of protein and carbs, this recipe is a great pick-me-up to power you through the second half of your day. Some of us can’t live without our popcorn fix. And with all its energizing fiber, there’s no reason we should feel like we have to. 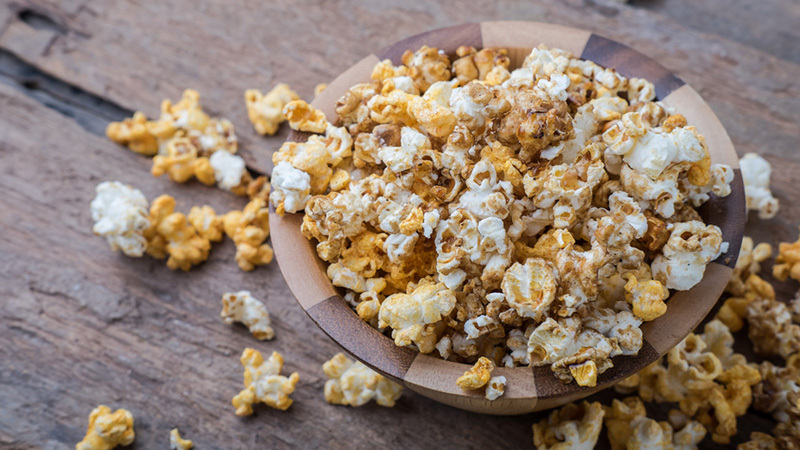 Have your popcorn and eat it too with this recipe that combines the sweetness of maple syrup with the spiciness of ground red pepper. You won’t believe it’s only 48 calories per serving. Is it a snack? Is it dessert? This yummy number can be either! This recipe is packed with superfoods and will leave you feeling super too. Each mini bar is only 94 calories, so you can have dessert and still feel great. Steaming or roasting kale is great, but sometimes you want your kale to crunch. 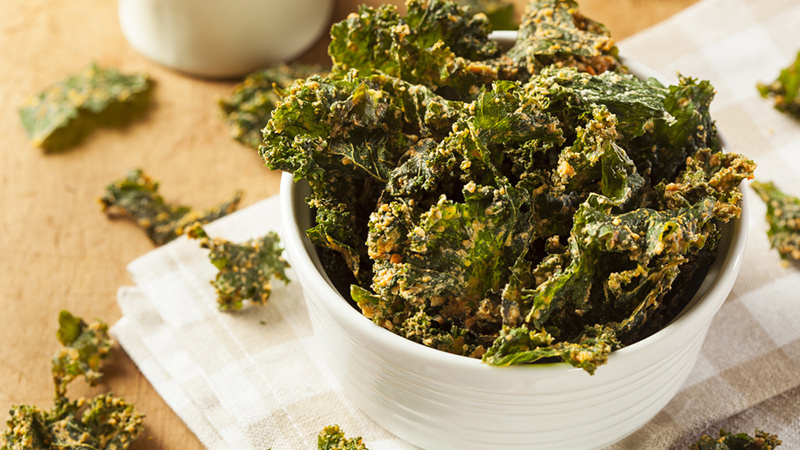 Kale chips are a healthier alternative to potato chips—and they’re delicious! Check out this recipe for a chip that’s only 110 calories per serving. 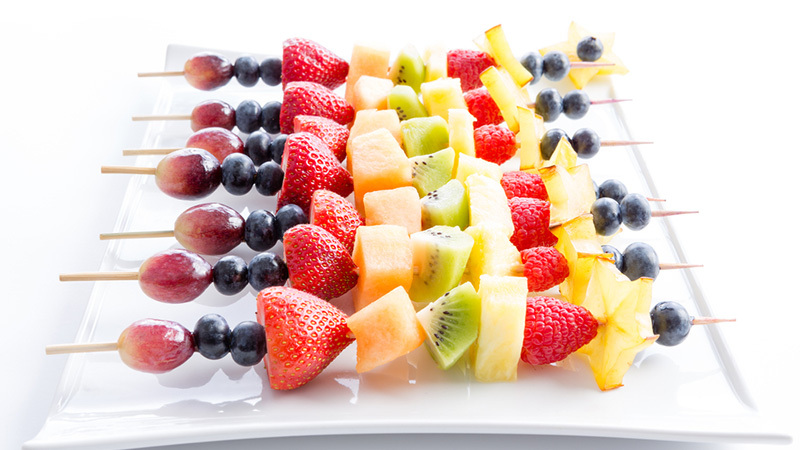 A treat that’s both fun and simple to make, these skewers will delight kids and adult snackers alike. This particular fruit combination has only 61 calories per serving, and you should also feel free to experiment with whatever fruit you have on hand. Find the recipe here. You could go to a coffee shop and get their version—and spend way too much money and way too many calories in the process—or you could make your own delicious, healthy alternative. 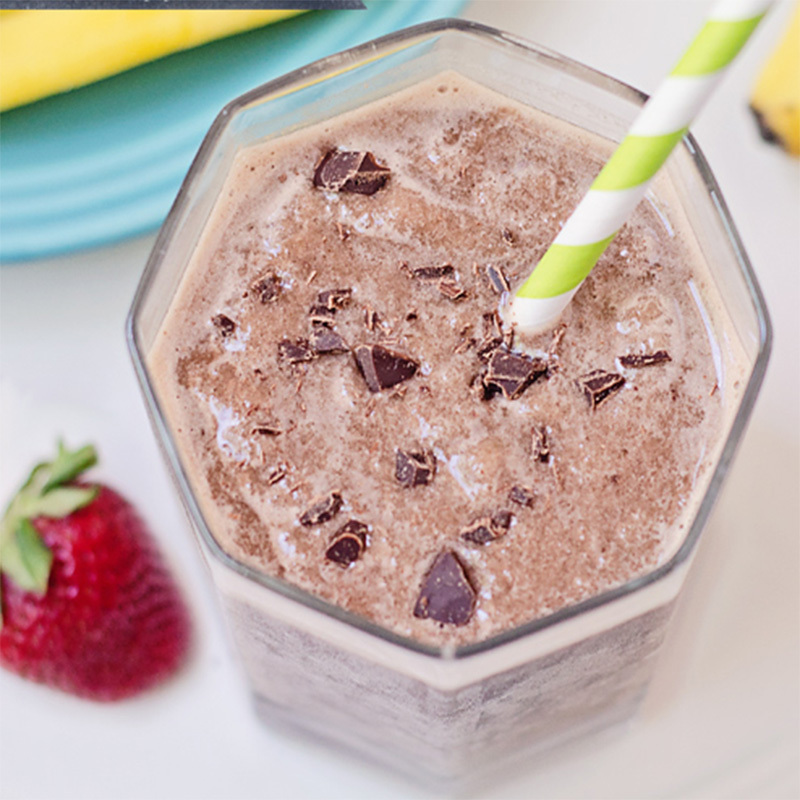 A scrumptious recipe that comes in around 150 calories, this is a good one to try when you want something sweet and cold on a hot day. What’s not to like about 94-calorie cookies with chocolate and cherries? 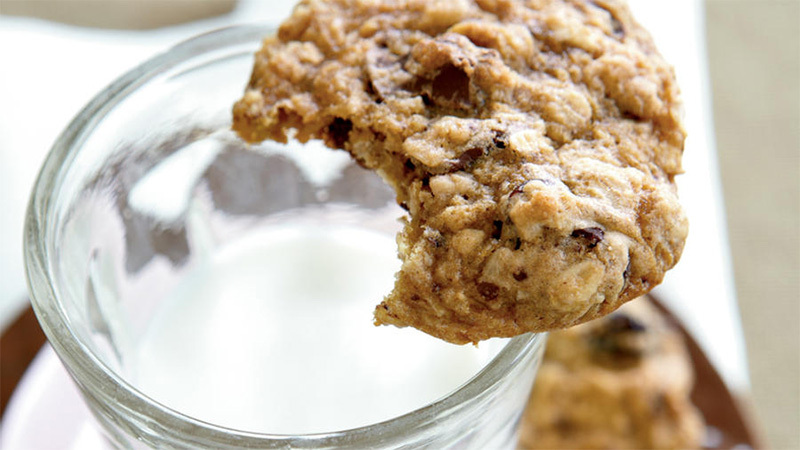 If you’re craving cookies and nothing else will do, make them the healthy way. The bittersweet chocolate in this recipe means less sugar and more flavor. 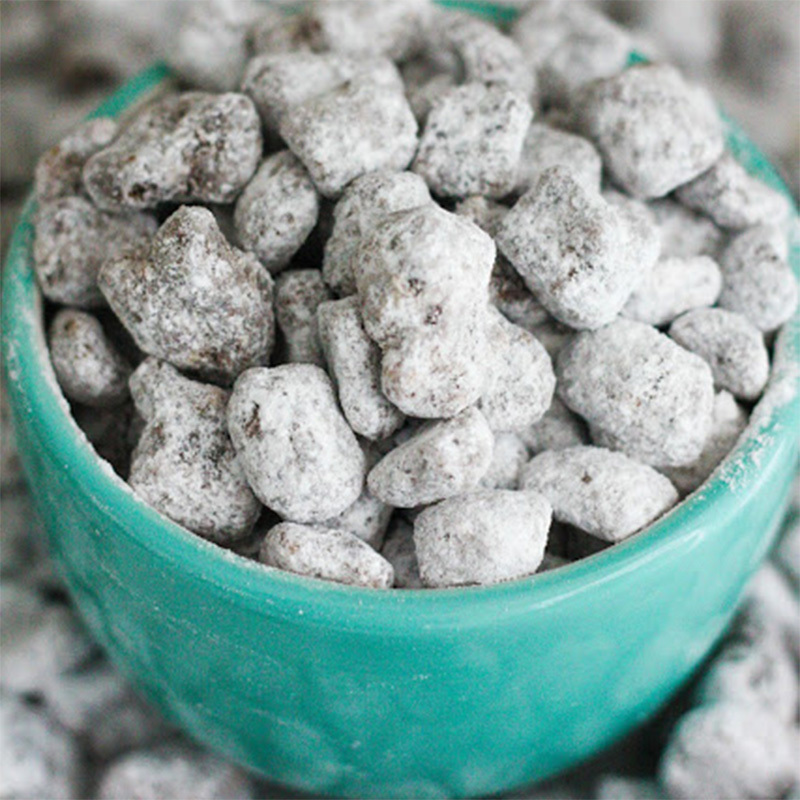 This is another snack that solves the age-old dilemma of what to do when you’re craving salty and sweet at the same time. 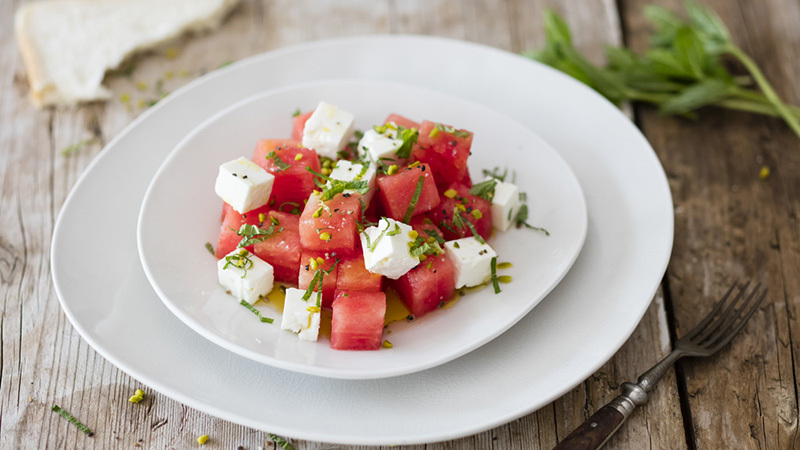 Feta and watermelon make a wonderful pair and this 150-calorie snack will leave you satisfied. Find the incredibly easy recipe here. 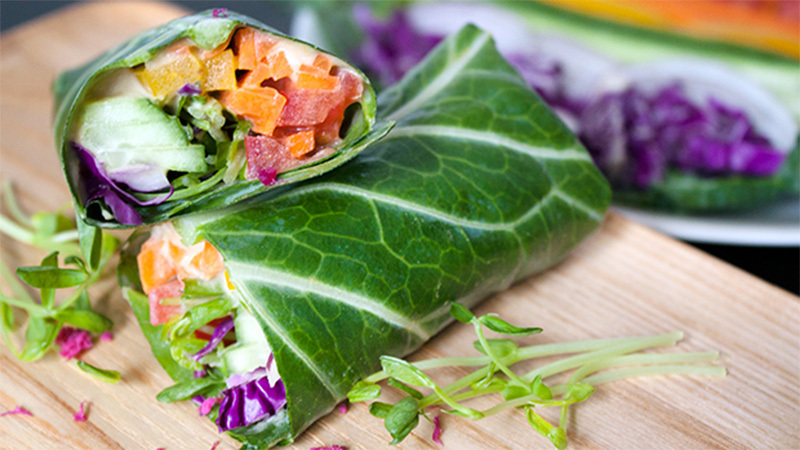 This wrap is colorful, packed with vegetables, and delicious to boot. One wrap has 113 calories and a ton of veggies, so you’ll get your fix of fiber and nutrients without sacrificing calories. Find the super colorful recipe here. If you need a 150-calorie snack for a savory day, this simple recipe is just the ticket. 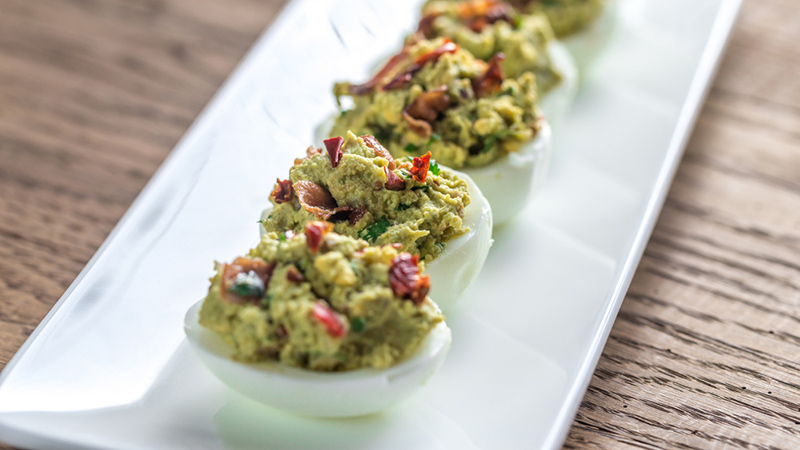 It’s as easy as swapping out egg yolk for guacamole. This snack is packed with the protein and healthy fats that will help power you through your day. These are like mini sandwiches made out of two of life’s sweetest ingredients: chocolate and nut butter. At only 79 calories per serving, this recipe will help you hit your sweet, salty, soft, and crunchy cravings—all in one bite. Scoop up a cup of this sweet mix for only 100 calories (the original version contains a whopping 365 calories). If you like the flavors of chocolate and peanut butter in the original, you’ll love those same flavors with a lot fewer calories. Find the recipe here. 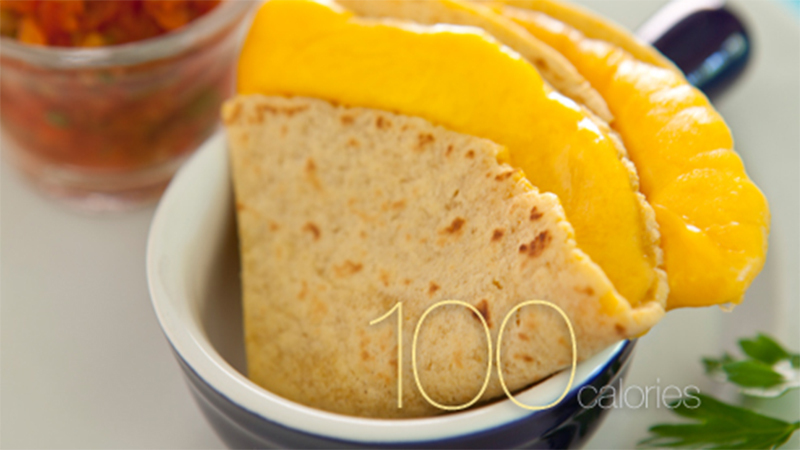 This cheese quesadilla recipe is not only the easiest recipe in the history of quesadillas, it also brings in a mere 100 calories. Have a corn tortilla? Have some low-fat cheddar cheese? You’ve got yourself a cheesy low-cal snack. 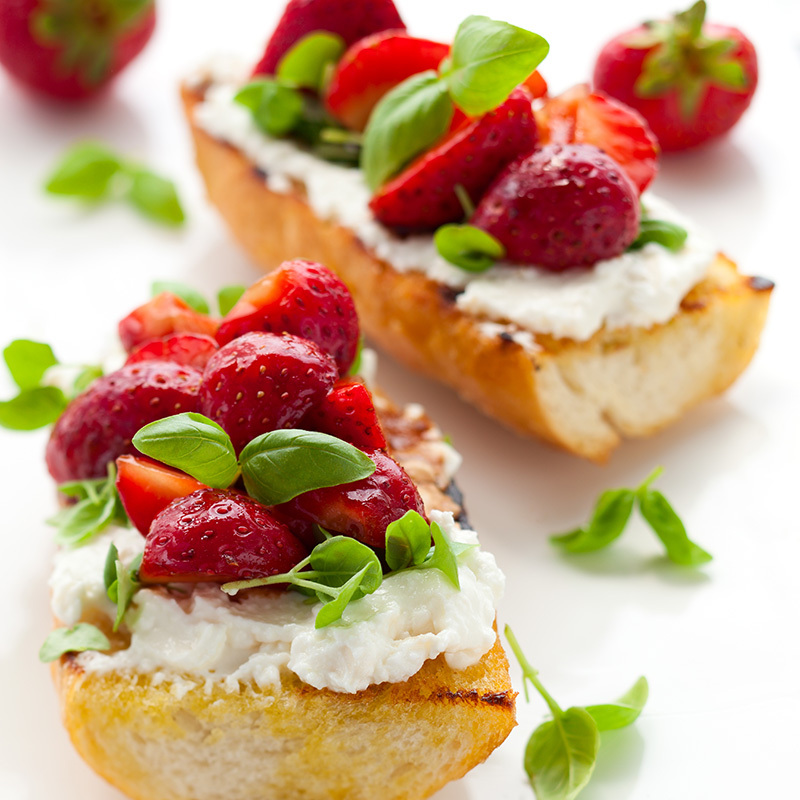 Bread, cheese, strawberries and honey: what’s not to like? Add the fact that this recipe boasts 104 calories per serving and you have yourself a winning snack. Simplicity wins with this one. 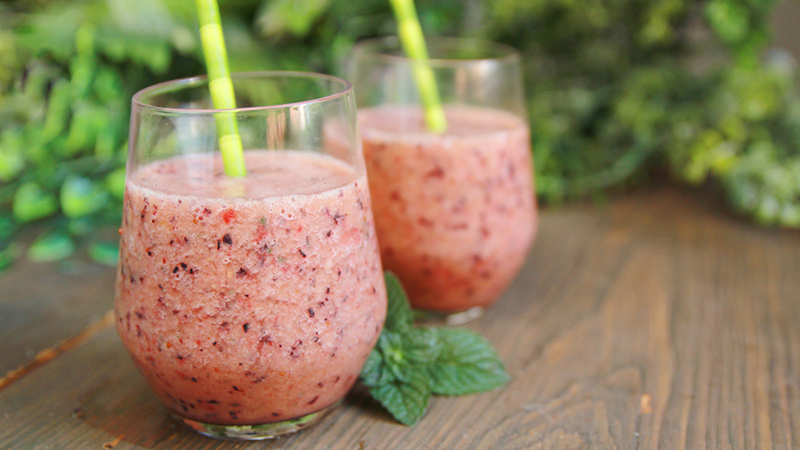 With silken tofu as the base of this smoothie, it’s no wonder it’s so light. A perfect summery treat that combines the flavors of cherries, berries, and grapes with tea, this recipe comes in at 110 calories per serving. It’s a delicious, refreshing must-have. This is the snack to make when you want to look like a gourmet but you also don’t want to put in a ton of effort. You’d never guess from looking at the end result that the recipe is so easy to make, but really it’s as simple as throwing the ingredients in a food processor. 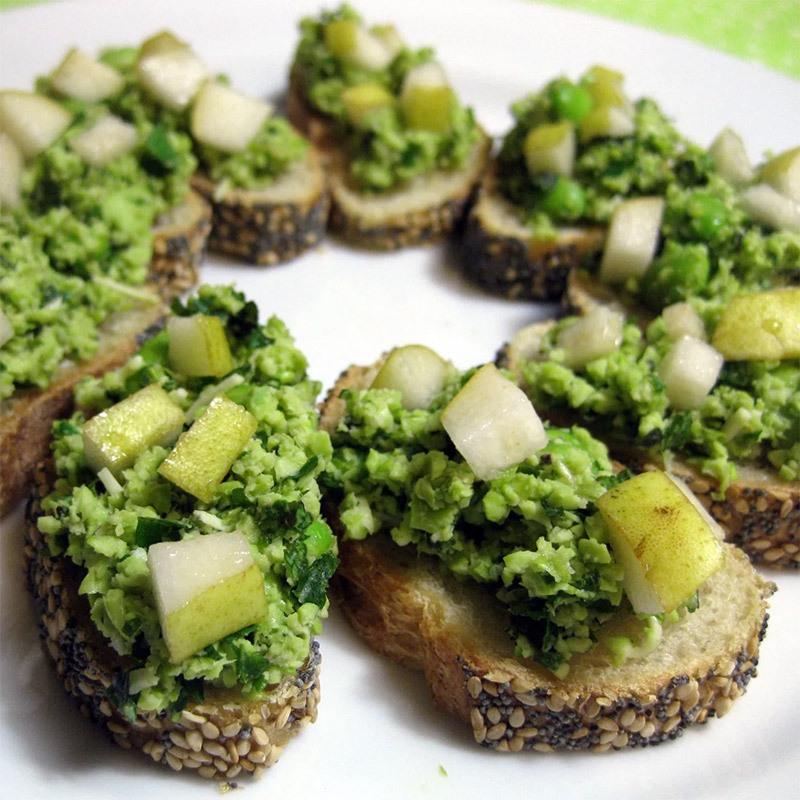 A healthy, elegant snack that’s only 62 calories per serving? Sign us up. There’s easy and then there’s couldn’t-be-easier, as in this two-ingredient recipe. 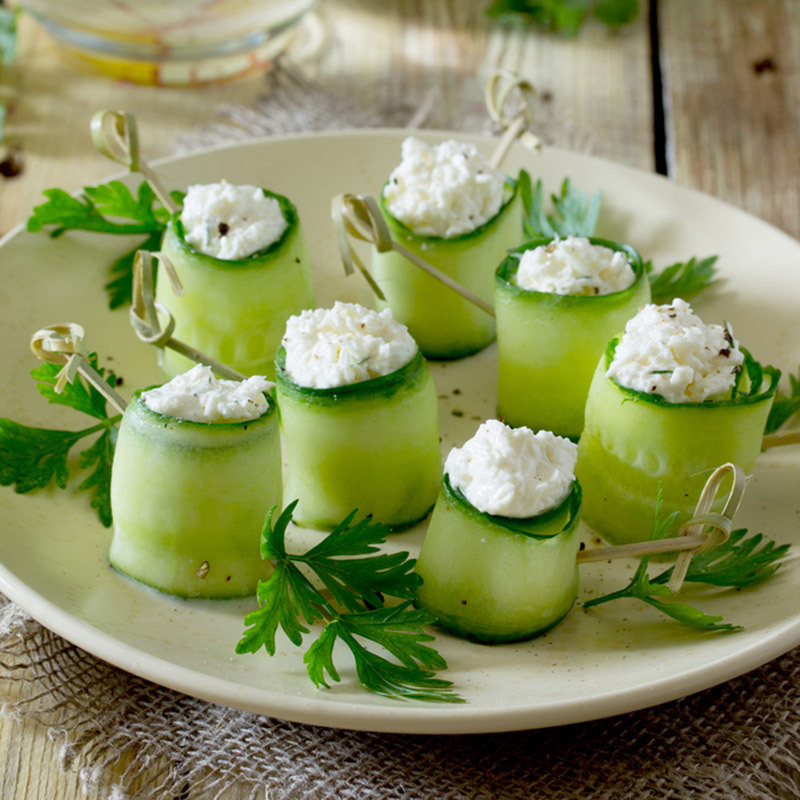 Combine cheese and cucumber together and what do you get? A protein-packed snack for only 128 calories. 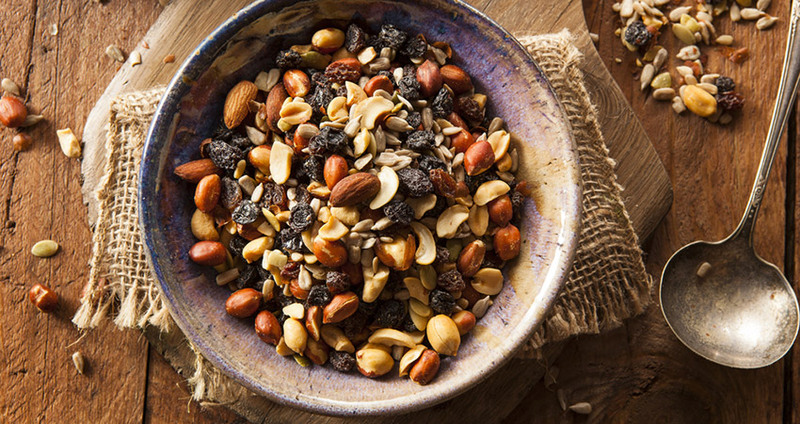 This recipe shows you exactly what to add to your trail mix to come in at 150 calories. This high-protein, high-fiber snack will give you tons of energy, so make it next time you go on a hike or need to get through a day of back-to-back-to-back meetings.